In the 21st century, the world is moving very rapidly, and Internet has been the biggest boom that has opened the doors to the vast world with just the single click of a mouse, not to be confused with the moving creature with a long tail, even though the mouse that we are referring to here also has a tail. On a serious note, today, the lifestyle has changed completely, and people have become highly ambitious and they dream big. Many such individuals–with a view to meet their growing ambitions and challenge their destinies, for the better–plan to immigrate to foreign immigration hotspots, such as Australia, Canada, Hong Kong, the US, and the UK, to name a few. All of these destinations enjoy widespread popularity. Still, it is the ’Land of Opportunities’, Canada, which really enjoys the confidence of the aspirants the most—especially those located in India. These days, not only many professionals from this part of the globe want to immigrate to Canada, but students, who wish to purse higher degree, and business personals, interested in starting a business venture, also seem very keen to immigrate to the Maple Leaf Country. However, to live their dreams in reality, many people do not have the time to take professional advice from a visa and immigration expert, in person, even as the solution for such candidates is a ‘click’. 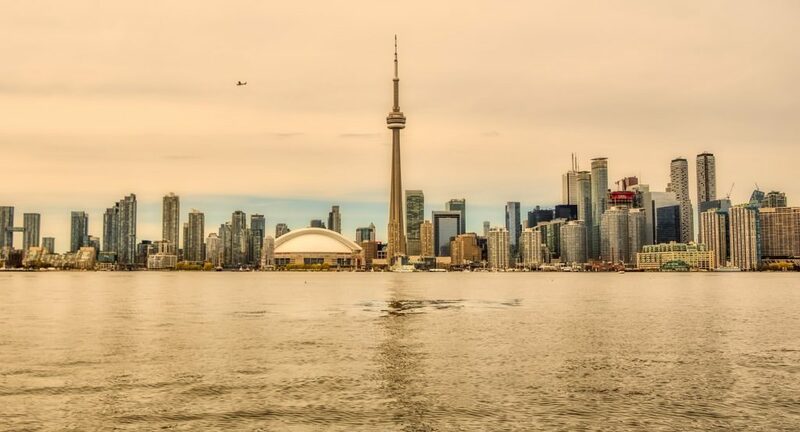 Yes just a click on a mouse will connect you to the online advice chat facility that helps you in moving your immigration process to your dream destination Canada! Candidates, not only from the big cities aspire of immigrating to the ‘Land of Opportunities’, but from small cities and remote areas also started making visa and immigration-related enquires. In such circumstances, online chat has proven to be, perhaps, the most beneficial with positive solution even as the same has remarkably increased the trend of online assistance throughout the length and breadth of the country. At the present, almost all permit experts and consultancies in India have recognized and understood the importance of technology, and when it is easy to reach and assist people through the medium of online advice chat, why not! Smart phones have added the edge. When it comes to online advice chat facility for Canada immigration, there are many experts operating from the leading cities who provide quality assistance as per your convenience. This is an altogether different matter that only those–who work with 100% dedication and commitment, and who have good domain knowledge–manage to leave a mark for themselves in the rapidly growing industry. Through online assistance, these experts provide complete assistance from head to toe, like; for example, scoring the points, prior assessments, appropriate sponsorship, Permanent Residency (PR), Canadian citizenship, assistance in obtaining Work Permit, obtaining the visa stamps and other relevant documents. Authorized and registered immigration specialists provide quality assistance in legal formalities, apart from social support. Many top immigration consultants has their branch offices strategically spread throughout the country, such as Bangalore, Mumbai, Guwahati, Hyderabad, and New Delhi, etc. But still if you are unable to meet them in person–due to your busy schedule and/or residency in remote areas—the facility of online advice chat is your solution that helps you to live your dreams, without breaking your day-to-day schedule. It is assured that the person sitting behind the desk is experienced and well informed and updated. When it comes to Canada immigration, the best and the most possible solution is provided. Now, is possible that–with the help of online assistance–even the candidates living in the far most remote areas stand a chance to successfully immigrate to their dream country no matter what the time and place is. These experts are always eager to help you. However, when it comes to trust and reliability, hand over your dreams to the safest hands only! Trust only when you have cross checked the credentials and the success record of the Canada Visa professionals! Please send your resume at mustaqali@abhinav.com for evaluation that you are eligible or not for Canada Permanent Residence Visa. Sorry we don’t provide work permit visa we provide only PR Visa services. Hello Sir , I hope you are in good health . I want a visa of Canda of my my whole include me , we are 4 family members. Can you help me for getting visa for Canda for my family. I shall be very thankful. Please send your resume at mustaqali@abhinav.com for evaluation that you are eligible or not for Canada Immigration Visa. I am an international student in Canada can I earn money by making affiliate website and linking Google AdSense to website in Canada? Hlo sir i am refused under sds so can i reapply under sds for next intake or i have to apply under general category. Hii.I got canadian student visa in 2015 but because of some problem I came back to India.Now I want to reapply for canadian student visa.Can I get visa? Sorry we could not help you in this because we don’t provide student visa services. kindly send your updated resume at mustaqali@abhinav.com for review. Thanks for your comment. We do not provide work permit visa, If you are interested in PR Visa then please send me self and spouse updated resume of self at mustaqali@abhinav.com for evaluation and assessment process, post that we will get in touch with you for further guidance. We applied under the Federal Skilled Worker (FSW) program in 2014, with spouse and 3 children. Our file is in process. In 2017 we had to update our file because we had a newborn girl, and we moved countries. London Office asked us to fill out firms, including IMM0008 Generic Application, and updated relocation address, so on. When we filled/submitted the IMM008, we only included the newborn girl as the dependent, and NOR the 3 children originally on the application. Should we have included all children (previous + the newborn girl)? London Office now asked us to submit updated Additional Family Information forms, police certificates. Should we also take this opportunity to re-submit the IM008 with all children (previous + the newborn girl) even though they did not ask for it? Hi, I am a B tech graduate passed out in the year 2011. I have a total 2 years of experience working as administrator. unfortunately one of my company got closed down and i do not have working experience certificate from there. will i be able to migrate if i score better in ielts? I appreciate guidance on this topic. Thanks for your comment. Can you please send me your updated resume of self at mustaqali@abhinav.com for evaluation and assessment process, post that we will get in touch with you for further guidance. First we are not provide any kind of job, if you are interested in PR visa then kindly send me your resume at mustaqali@abhinav.com for review. After review our immigration expert will get in touch with you. Please note that “We are an immigration consulting company and do not assist in student visas, work permits, overseas or domestic jobs for any country.” If you are looking for a Permanent Residence Visa to Canada or Australia do let me know and I will help you to fix your appointment with one of our best immigration lawyers where you can discuss your possibilities of immigration. I am a Canadian PR holder and my girl friend is in India. Please suggest me your advise and your rationale behind. Plan A – Go to India, marry her, sponsor her. I am hesitating this plan as it takes a lot of time to get her to Canada. Expecting 1 year to bring her on PR. Plan B – Apply tourist visa for her, get her here, marry here in Canada and then apply for PR with in Canada. I am strongly willing to execute this plan. Thanks for your comment. Can you please send me your updated resume of self and spouse at mustaqali@abhinav.com for evaluation and assessment process, post that my immigration lawyer will get in touch with you for further guidance. Hi, am Robert imieye, am married with two kids,My wife’s half brother didn’t indicate my wife as a sister in his express entry profile, can we still use him to claim points as a “relative in Canada”? to qualify me for express entry. Thanks for your valuable reply. First, you have to send your updated CV at mustaqali@abhinav.com, if you are eligible then our immigration counselor get in touch with you and provide you all the details about Canada Express entry and answer all your questions regarding your immigration plan. Hi.I am mann,I have passed my 12th class this year.I want to study in canada…can I get pr for canada nd I need more information about it. hi i have a query regarding Canadian pr. I am living in india and working as a Central goverment employee from past 25 years, i want to migrate to canada through pnp ,, i heard many new programmes introduced this year for canadian permanent residency. my dependent child will move with me.. Please let me know if there are any programmes for govt employees who want to move to canada and wish to setlle and work over there..and the processing time of the programmes,- non express entry or express entry. please let me know asap. I am applying for visit visa of Canada, i will be in Canada 25th of August, am i Eligible for Canadian PR as a tourist? If yes then what are the requirements? I have query regarding “Canada PR”. Please help me out. – Is the PTE exam valid for a Canadian PR process? I am interested to apply for EE with ONTARIO Human priorities stream which demand 400 points to qualify. I am confused to claim points of my experience. 1. I finished my bachelors in March 2009 in filed of Computer Science. 2. Started Working as Marketing Consultant from April 2009 to November 2010. 3. Quit Job and started doing MBA in between and finished in January 2014. 4. Started working again as Marketing Consultant from November 2014 to until. So, my total experience which including (study break) is 3 years. How many years of skilled foreign work experience do you have? It must have been continuous, paid, full-time (or an equal amount in part-time), and in only one occupation. then how should I calculate my points based as I have break in between of total experience ? ?Should I count only 1.5 years or 3 years including study break. you may count your experience as 3 years in total. I am basically from India and I want Canadian PR. I do have in total around three years of experience in internet marketing(SEO,PPC,SMO) But problem is that for two years I have got salary in cash and for one year I have got salary in account. Is there any problem if I will show salary in cash? Am I eligible for Canadian PR? Sorry Sir, We are not providing Canada visitor visa services.